Ole Gunnar Solskjaer celebrated his first game as permanent Manchester United manager with a 2-1 English Premier League (EPL) win over Watford at Old Trafford on Saturday. The victory helped his team to move back into the competition’s top four. 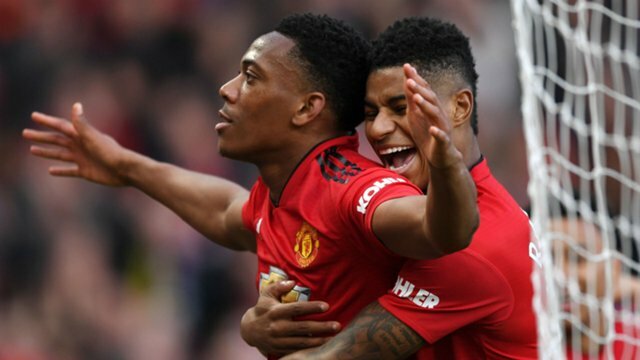 It was a far from impressive performance from Manchester United, but goals from Marcus Rashford and Anthony Martial earned the victory which moved them up to fourth in the table. They are now level on points with third-placed Tottenham Hotspur. After a slow start, Manchester United took the lead in the 28th minute when Luke Shaw played a delightful through ball into the path of Rashford. The England international clipped the ball past advancing Watford goalkeeper Ben Foster. Watford enjoyed plenty of possession in Manchester United’s half and looked dangerous when breaking, without causing David De Gea too much work. Manchester United’s main problem was their midfield which barely operated as a unit. Neither the deep-lying Nemanja Matic nor Paul Pogba, in an advanced role, were anywhere near their best and that left the only effective route down the flanks. It was from a burst down the right wing that Manchester United made sure of the points, with Martial’s strike in the 72nd minute. Substitute Jesse Lingard’s low cross caused Martial and Foster to tangle for the ball, which fell kindly for the Frenchman who hooked home Manchester United’s second. Watford got some reward for their positive approach when Abdoulaye Doucoure slotted home in the 90th minute after an exchange of passes with substitute Isaac Success. “We were awful in the second half, we were lucky with the result,” said Shaw, one of Manchester United’s better performers. 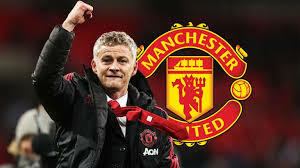 Norwegian Solksjaer, handed a three-year contract on Thursday, has led Manchester United to 15 wins in 20 matches in all competitions since taking over as caretaker manager in December.